Fantastic result for our U 20s agai..
ust an update on the fabulous result for our Under 20s against Cork Con last Saturday. Tries were sc..
Great weekend with wins for the Sen..
As we left Donnybrook after the Seniors win over Old Wesley, the day got even better with a gr..
U 20s go down fighting! 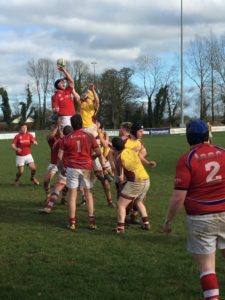 The U 20s went down to Bruff on Saturday last.As always they showed great effort and endeavour and h..